HUNTINGTON BEACH — Tilly’s Marine Inc. plans an Open House and Customer Appreciation Day from 11 a.m. to 4 p.m. April 14 at its new second location — at 16214 Pacific Coast Highway in Huntington Beach. “Tilly’s Marine invites everyone to celebrate with us — and join us for lunch,” said Renee Balian of Tilly’s Marine Inc. The Chaparral and Robalo dealer will provide lunch for all event attendees, and door prizes will be awarded. New Robalo and Chaparral boats will be on display during the event, and there will be Open House special prices. The pro shop and parts department will also be open during this special event. “We’re absolutely thrilled about our second location on PCH, acquiring Chaparral and Robalo brands in Southern California and becoming a productive member of the business community in Huntington Beach,” said Brett Tilly, managing partner and founder of Tilly’s Marine Inc.
Tilly’s Marine Inc. was established in 1985. 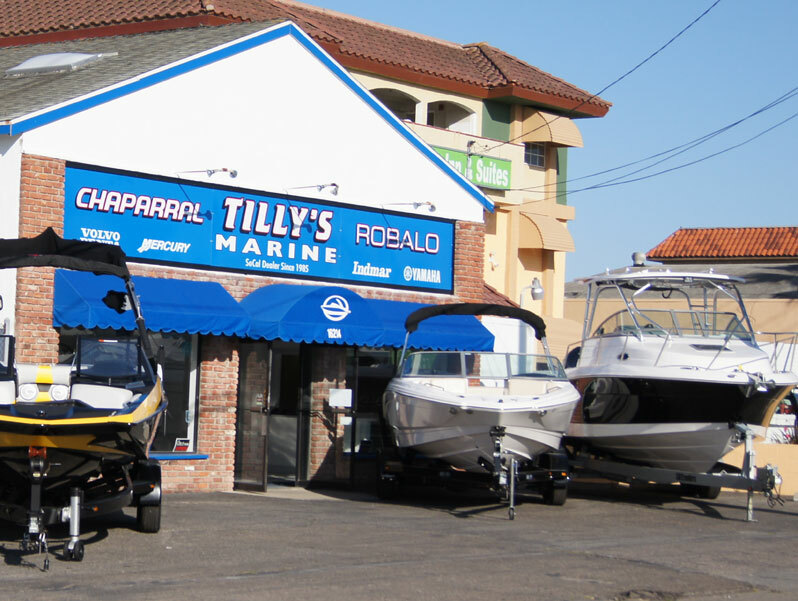 The multi-line marine dealership’s original location is in Ventura, at 935 E. Front St. Product lines include Malibu Boats, Chaparral Boats, Robalo Boats, and Axis Wake Research; and the company is an authorized service center for Volvo Penta, Indmar, MerCruiser and Yamaha. For more information, call Tilly’s Marine’s Huntington Beach location at (714) 840-1163 or visit tillysmarine.com.